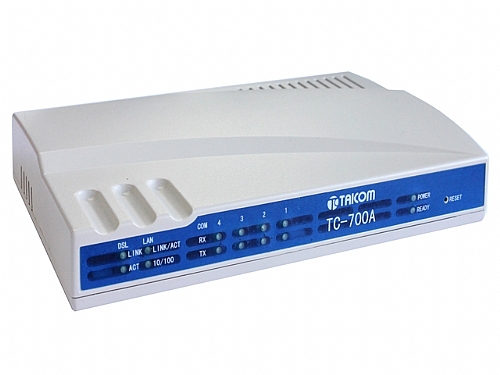 TC-700A performs industrial standard serial signal to Ethernet conversion for bridging serial signals over Intranet or Internet which facilitates data access, data routing, data concentration, configuration, management and diagnosis for all the serial devices from a remote control center. TC-700A has programmable serial interfaces option which can be two/four wires RS232,RS422 or RS485 industrial standard interfaces. Supporting of TCP Server, TCP Client and UDP mode of operation, TC-700A ensures the compatibilities of network software that use standard Application Program Interface.